Here is something we have always wanted to sell. 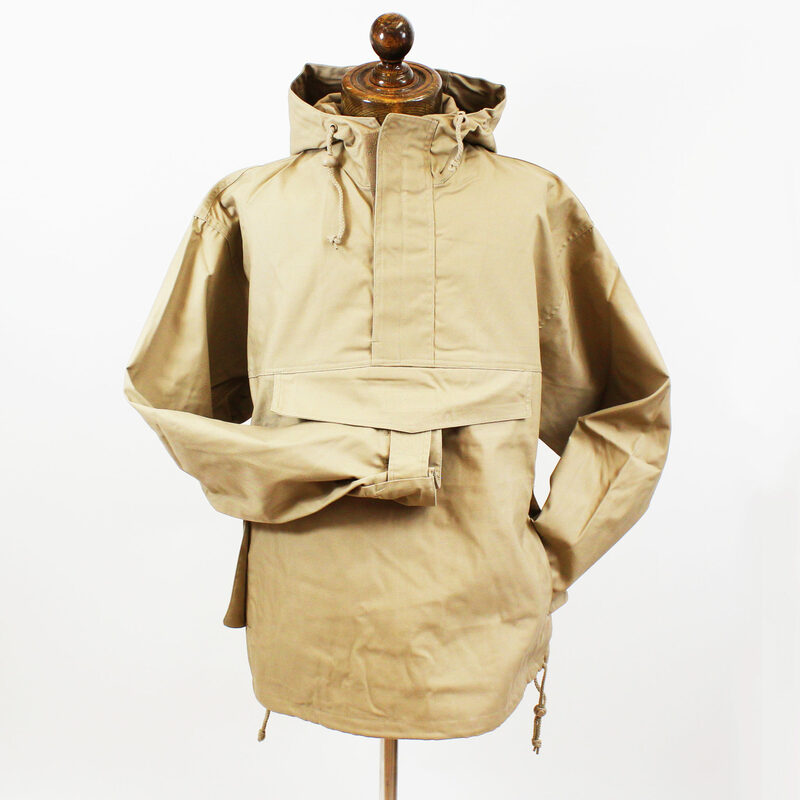 It is an overhead smock like the ones everybody would wear ski-ing and riding their scooters in the 60’s as well as the Where Eagles Dare and Heroes of Telemark crowd. Mid weight Poly/Cotton drill with toggles around hood and waistband. Velcro opening at front above large map pocket and around cuffs. Side pockets are actually connected inside as a hand warmer area. Short in the body and we think perfect for that less formal trip into town or running around on the scoot. This is not waterproof. Great bit of kit, Adam spot on with the sizing over the phone. Lovely stuff! Recommend without a doubt. The look, touch and feel is great. I had a similar Lambretta one years ago and spotted this. The quality oof this is streaks ahead. The service and speed of delivery is exceptional. Now get the sta-prest materials I want in! First class to deal with, it’s certainly been my pleasure. Don't know what to say- thank you! Don’t know what to say- thank you! 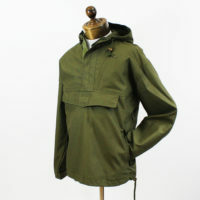 Great jacket, phoned the guys for sizing advice – fits perfect – ordered on Wednesday afternoon, arrived within 24 hours! Thanks Graeme, glad you are happy with it. 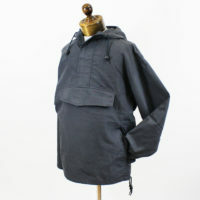 got mine just before xmas, what a great garment, lightweight, but warm. 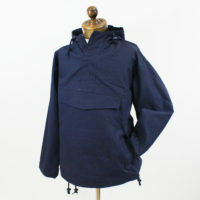 I’ve been after one of these smocks for a long time! 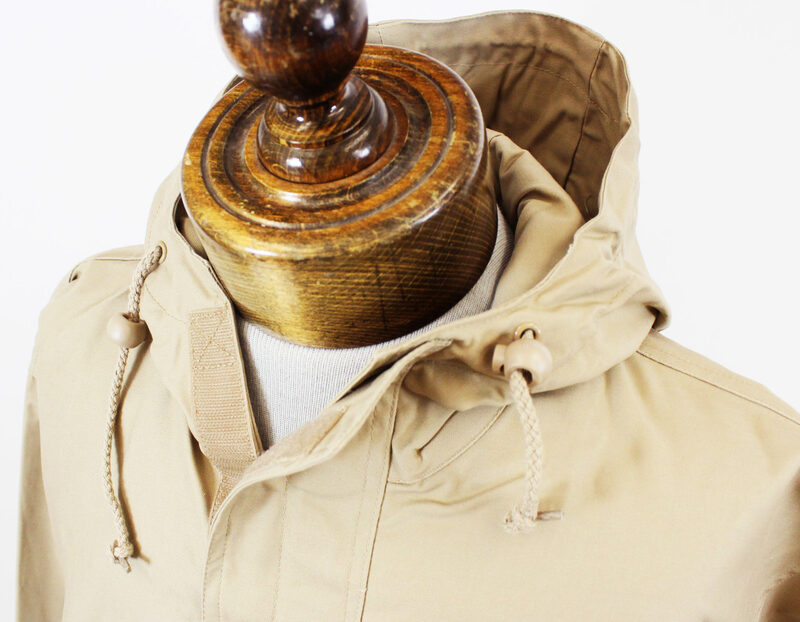 And I can certainly say that I’m not dissappointed.The smock has a retro feel and look to it along with the modern touch from the velcro fastenings which I think is better than the orignals. The service and price from JTG was second to none. scooter smock…. what a great coat for on the scooter, it is heavy duty and cuts the wind out. the big pockets are great for putting my gloves in and the drawcord and Velcro cuff fasteners keep out any drafts. 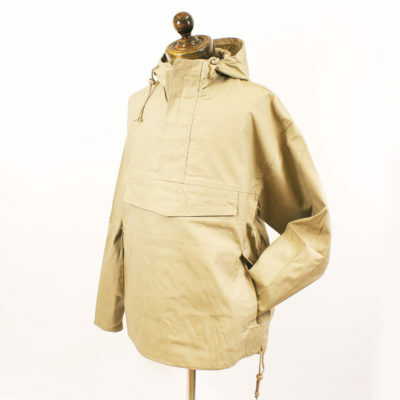 i would advice you to order the next size up from what you normally wear if you are wearing thick warm layers under this smock, I usually take size large, i ordered XL as i wear a fleece under it when I’m on the lambretta . .all in all a great scooter coat that is pretty authentic to the original scout smocks we had in the 1960-70s which are no longer made ! this coat will last for years and years and never go out of fashion . . and at 40 quid is a real bargain .